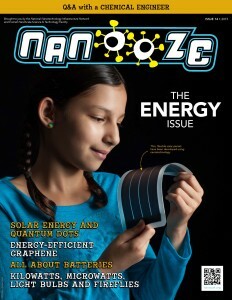 Issue 14: Energy | Nanooze! Issue #14, “Energy” is about as important as anything. It powers our digital gadgets, our cars, all sorts of things. It also powers us. There are different forms of energy—kinetic, potential, mechanical, chemical, electrical and thermal—and they all have some nanoscale component. 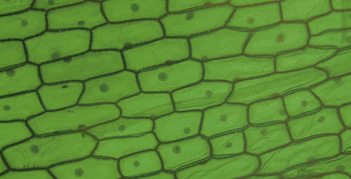 Nanotechnology is also involved in helping to generate, store and use energy. The whole world is concerned about energy efficiency. It is never good to waste anything, but wasting energy has a lot of consequences, including important stuff like global warming. 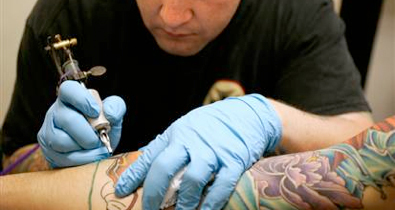 Nanotechnology can help make energy or actually convert energy. Solar power is energy that is derived from sunlight. Sometimes we use sunlight to generate electricity, other times we are trying to generate heat, or thermal energy. Batteries take chemical energy and convert it into electricity. Rechargeable batteries do the same thing by taking electricity and storing it in a battery as chemical energy. That way we don’t have to throw out the batteries when we are done, which is a waste, and we also avoid putting some nasty battery chemicals into our landfills. This issue is all about energy and how nanotechnology helps to make, store and use energy. It isn’t science fiction or a story about things that might happen in 100 years. It is about now.